This week at Hammond Design Group we found a building in our 50/50 archives that we couldn’t resist to share with our readers. Can you imagine a building that was actually suppose to be a garden? Well we can! The Zwinger Palace. 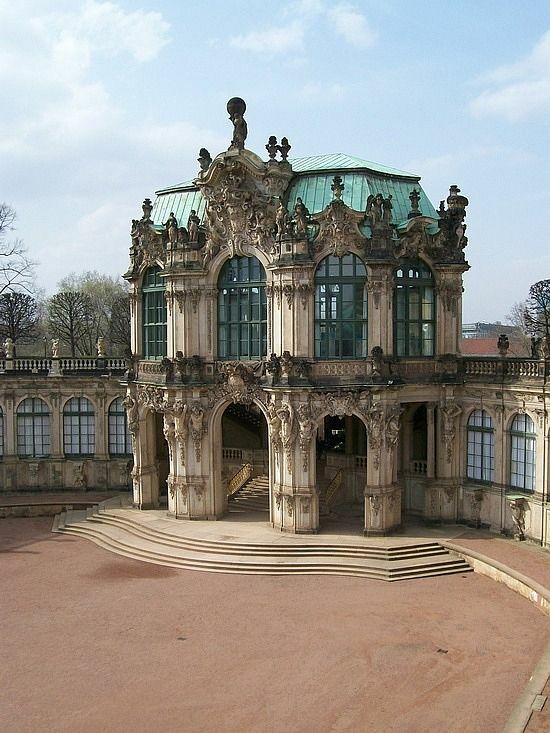 The word Zwinger isn’t just a fancy name for this palace it actually has a meaning behind it. The word “Zwinger” refers to the area or enclosure between two defense walls or ramparts. 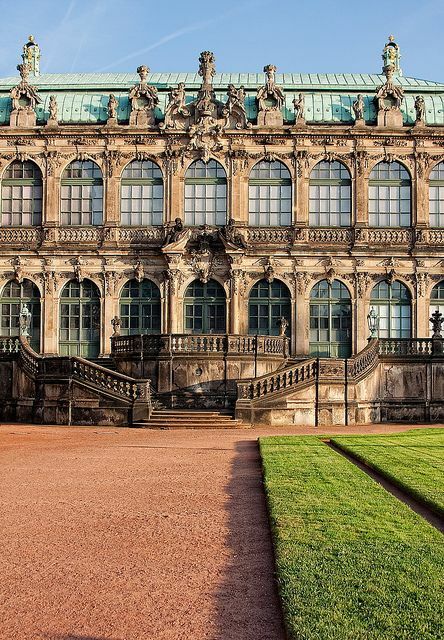 Originally when the Zwinger Palace was being laid out the idea was to be constructed to be a garden on the western border of Dresden it was to add a setting for magnificent courtly festivities. So, what changed the course of construction? Well the Zwinger wasn’t actually completed in 1803, the German architect by the name of Karl Friedrich Schinkel. When Mattchaus Daniel Poppelman began construction in this historic city his idea was to build a setting for magnificent courtly festivities. Since Zwinger Palace wasn’t finished the later generation wasn’t very fond of the late Baroque opulence of the Zwinger, and from there history was written. The main building is covered with stone urns, putti, mask and garlands, and the Nymphs’ Bath in the north-eastern section of the complex is particularly rich in sculptural adornment.To this day, the gallery contains the world’s most important collection of paintings dating from the baroque to the Renaissance period, including the famous Sistine Madonna by Raphael.